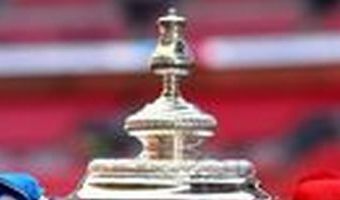 FA Cup Second round draw: When is it and who could Peterborough United face? A win over Bromley at the weekend sealed Posh's place in the FA Cup second round draw...but who will they face next? Here's everything you need to know:When is the FA Cup second round draw? Is it on TV?The draw for the second round proper of the FA Cup will take place on Monday, November 12.The draw will be made live from National League South side Hampton & Richmond at 7.10pm ahead of their televised clash with Oldham Athletic.Mark Chapman will be joined by Glenn Murray and Mark Schwarzer for the draw, which will be broadcast on BBC 2.What ball number are Peterborough in the FA Cup draw?Posh will be ball number 14.Who is in the FA Cup second round draw and what are the ball numbers?The ball numbers have all been confirmed for the second round draw, with the following teams in the hat:1 AFC WIMBLEDON, 2 MAIDSTONE UNITED , 3 EBBSFLEET UNITED OR CHELTENHAM TOWN, 4 HAMPTON & RICHMOND BOROUGH OR OLDHAM ATHLETIC, 5 SWINDON TOWN, 6 MANSFIELD TOWN OR CHARLTON ATHLETIC, 7 WOKING, 8 … [Read more...] about FA Cup Second round draw: When is it and who could Peterborough United face? FA Cup second round draw: What number are Scunthorpe and who could they face? 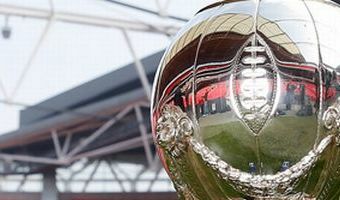 Scunthorpe United will today find out who they will face in the second round of the FA Cup. The Iron secured their place in the second round by defeating Burton Albion 2-1 in the first round tie at Glanford Park on Saturday. James Perch and Lee Novak gave the Iron the win, which meant Liam Boyce’s strike late on, only proved to be a consolation goal. It means the Iron are in the hat for the second round, the stage they reached last season before going out to Doncaster Rovers. Whoever United get in the draw, they know they will be only one win away from a potential plum tie against a Premier League side. Read More Scunthorpe United weekend round up Scunthorpe will be ball number eight in tonight’s draw which gets underway just after 7pm. Among the teams that have made the second round, Scunthorpe could face Maidstone United (ball number two) who beat Macclesfield Town. Cambridge United’s conquerors Guiseley are ball number 33 while there is also the chance of … [Read more...] about FA Cup second round draw: What number are Scunthorpe and who could they face? When is the FA Cup second round draw, who can Sunderland face and how can I follow it live? After a positive start to their League One campaign, Sunderland's sights now turn towards the FA Cup. This weekend, the FA Cup proper gets under way as the Black Cats travel to League Two side Port Vale to get their campaign under way. 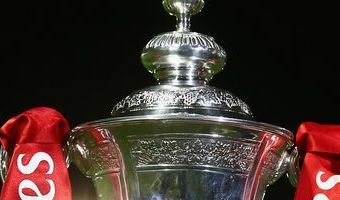 Sunderland last won the famous trophy in 1973 and enter at the first round stage as a result of playing in the third tier. They are joined by fellow north-east sides Gateshead and Hartlepool in the first round and should they progress there is a chance of a north-east derby in round two. Eager fans across the country will be tuning into Monday's draw, dreaming of a cup run that could involve Premier League opposition or, even better, a trip to Wembley Stadium. Here is all you need to know about the FA Cup second round draw. When does the FA Cup second round draw take place? The draw will take place on Monday, November 12, at 7pm. Is the FA Cup second round draw on TV? How can I follow it live? The draw will be televised live on BBC Two. 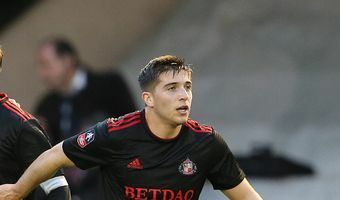 Mark Chapman … [Read more...] about When is the FA Cup second round draw, who can Sunderland face and how can I follow it live?